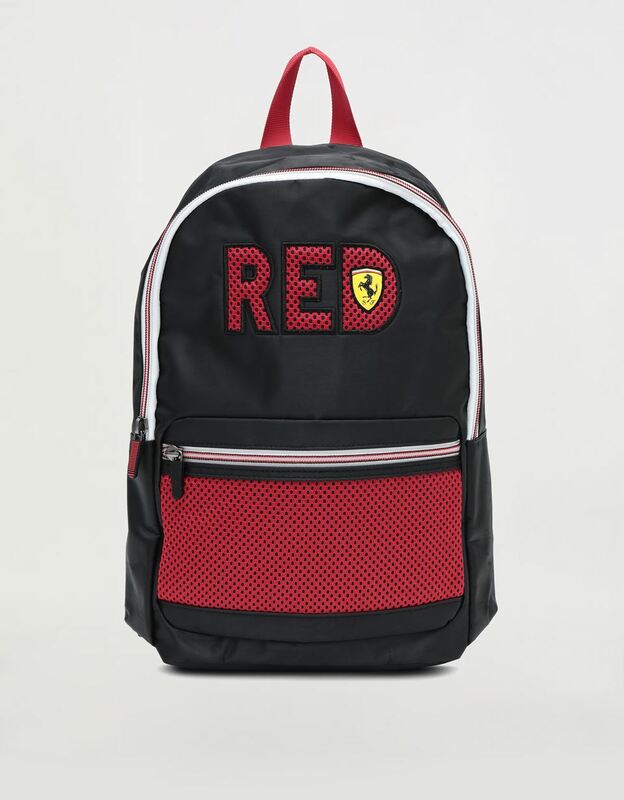 The black backpack with the word RED is ready to run through the city streets on the shoulders of young Scuderia Ferrari enthusiasts. 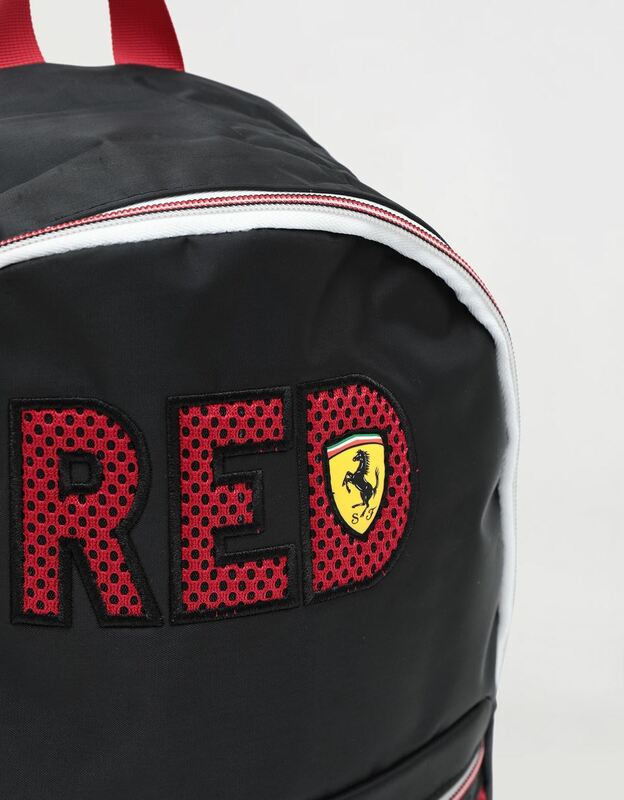 Made of perforated fabric, the word RED accompanies the Ferrari Shield in its iconic colours on the front of the new child's backpack dedicated to passion for the Maranello team. 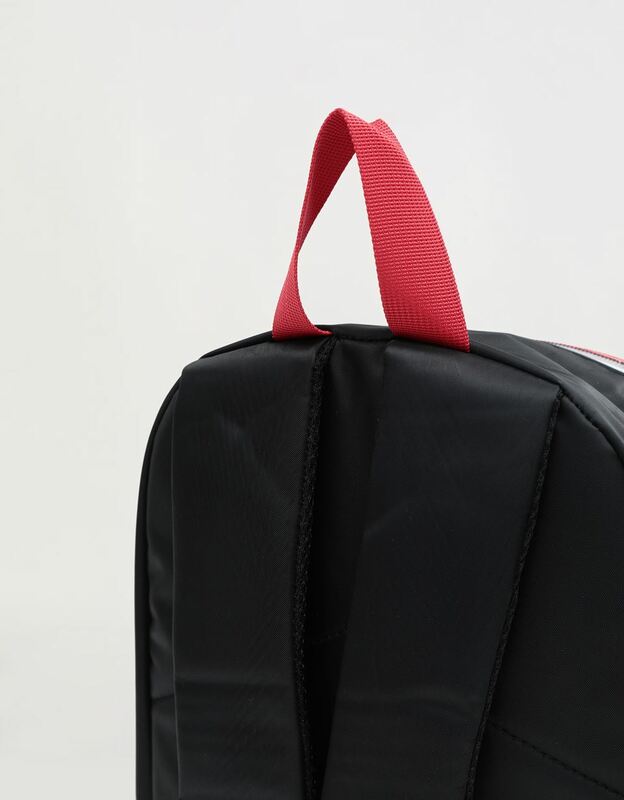 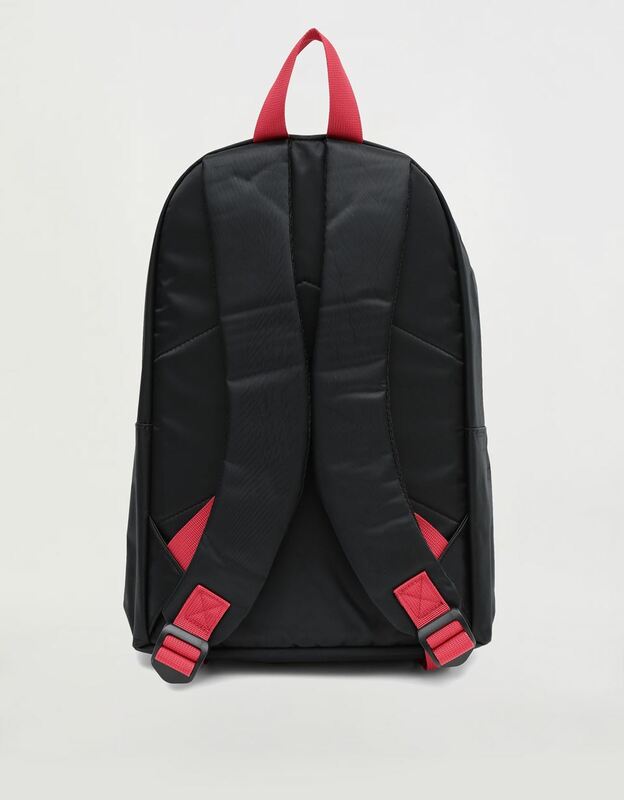 This practical accessory features comfortable adjustable shoulder straps, a large front pocket made of the same perforated fabric as the wording, and white zips highlighted by red and black stitching. The detail that makes the difference is the inside pocket, perfect for protecting electronic devices.